Имате въпрос към White Chocolate Hills Resort? Идеален за развлечения и отдих, White Chocolate Hills Resort се намира в Замбоангита, който е един от районите на Думагете. Центърът на града е на около 26.3 km, а до летището може да се стигне до 32 минути. С удобното си местоположение хотелът предлага лесен достъп до всички градски забележителности, които задължително трябва да се видят. В White Chocolate Hills Resort отличното обслужване и достъпните съоръжения допринасят за Вашия незабравим престой. Хотелът предлага достъп до широк спектър от услуги като 24-часова охрана, ежедневно почистване, магазин за подаръци/сувенири, наем на преносимо Wi-Fi, пощенски услуги. Като допълнение всяка хотелска стая предлага широка гама от удобства. Много от стаите са с гардеробна, почистващи препарати, овлажнител, хавлии, стойка за дрехи, за да удовлетворят и най-изискания вкус. Независимо от това, дали сте фен на фитнеса или просто търсите начин да отпочинете след уморителен работен ден, в хотела ще намерите най-висококачествените съоръжения, такива като лодки, кану, наем на екипировка за водни спортове, стая за йога, шнорхелинг. White Chocolate Hills Resort е идеално място за туристи, търсещи чар, комфорт и удобство в Думагете. Отседнахме 8 вечер/и в януари 2017 г.
все хорошо кроме интернета. раздают с симки у бара, поэтому он либо очень медленный, либо его вообще нет. Еда не вкусная, как и во всех Филиппинах, все стейки как резина, все сухое и жесткое, но пиццу готовят сносную. Easy to find and next to the beach this place deserves a higher rating! The staff are fantastic, friendly and helpful. The gardens are beautifully laid out and cared for. We stayed in the cheapest option, a series of huts all rather close to each other. Everything was very clean, there was daily cleaning, but we happened to be there over Chinese New Year. Unfortunately many Chinese people are very loud and unaware of the noise they they make when others are around. For that these huts were way too close, as you can hear every sound your neighbours make. The other side where the resort fails is with the food. Firstly the prices are a little higher than other restaurants in the area, secondly the food on offer is very poor. No fresh local fish, too much deep frying. Compared with the other restaurants we went to, not a very good menu either. If we hadn't had a car or motorbike, I don't what we would have done. The breakfast too is mediocre. No fresh fruit juice, lousy coffee. I would suggest that a chair be put in the bungalow. There is no place to sit. Also no type of transportation back to the main road. And last but not least,no hot water. We were told that we had hot water. Food was great, free breakfast fantastic. While this place is 45 minutes away from Dumaguete City, the travel is worth it. if you are the type who likes to have a chill time, this is a place to go. they have a pool, it's private beach and serves good food. you can also book adventures going to Apo Island, Siquijor and other water activities like Kite Surfing, Scuba Diving and the likes. I hope breakfast options can be widen as its too limiting. one thing to commend as well is the staff, they have the friendlies and most accommodating staff . a little undermanned though, hence some delay in orders but nonetheless a great stay over all. We were quite impressed upon arrival as the staff warmly welcomed us. The pool is actually bigger than how it looks in photos. 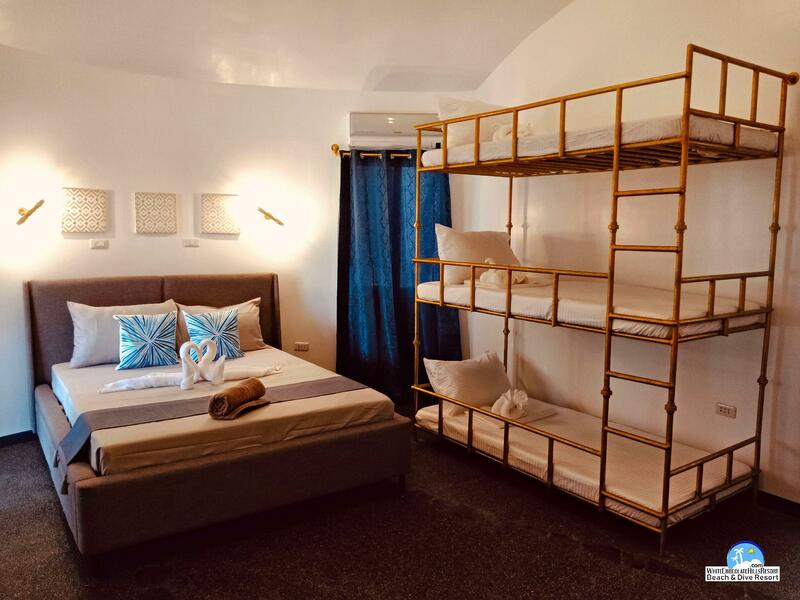 The place is perfect for travelers who want to enjoy a quiet and serene place not too far from Dumaguete city. Superb cleanliness! Food is reasonable. Shout out to their manager. Mark made sure we've got everything we need and would always ask if we're okay. The couple who owns the resort were also very accommodating and friendly. They stayed til late night talking to guests from Latin America, giving them tips on places to visit in the Philippines. I was a bit disappointed though when the guard turned off the lights around 4:30 a.m. in the bar area. The whole place was very dark (I couldn't see the letters on my laptop's keyboard). He saw us working there the entire night as I was assisting an American client and it was the only spot where internet connection's stable. Overall, it was a great stay! Отседнахме 10 вечер/и в април 2015 г. A perfect place to relax and let go the stress of work. The resort is very clean, no trash nor cigarette butts can be spotted in the whole place. Very nice green gardens, nice swimming pool, good kitchen (try the home made nachos !!! )A peaceful place to relax. Friendly staff and entertaining owner. We booked 10 nights in this resort and did not regret a single day. The food was consistantly great, the staff was attentive and prompt, and the rooms were fantastic. It's a little bit outside of town, which I like. Good security staff that greets you and you settled in your room. The grounds were immaculate with a great pool, great restaurant/bar, and a great scaled-down model of the chocolate hills near the pool. The resorts beach is immense and sandy and wonderful. The owners were quick to help you with anything you need and April at the bar with her staff were fantastic! 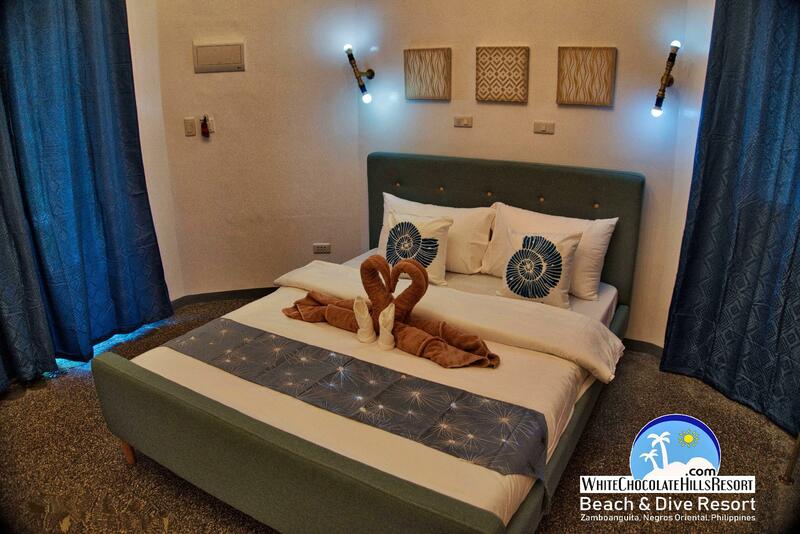 This is sure to become one of the best new resorts in the Dumaguete area of Negros Oriental. I will be visiting them again as soon as possible. The place is peaceful and relaxing. 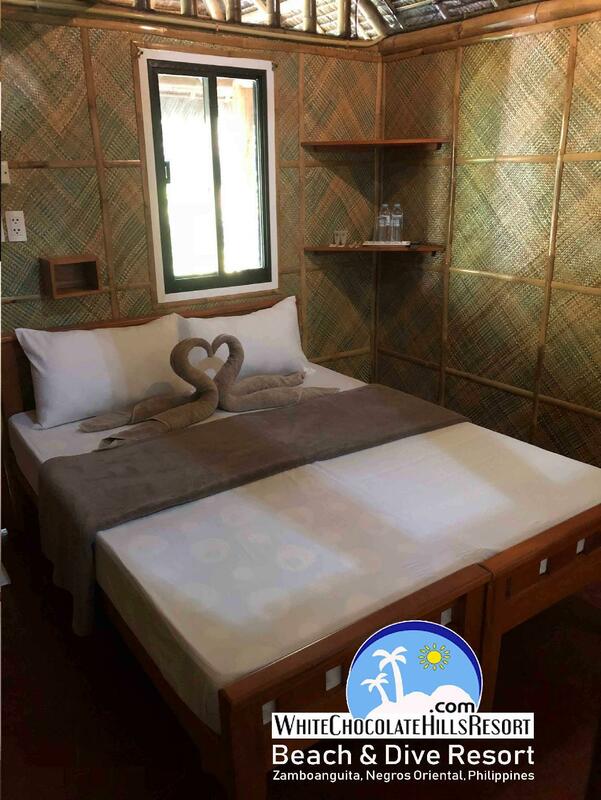 There are a lot of areas in the resort where you can just chill such as the duyan (swing) nearby the beach, the huts near the beach, the bench beside the pool or the bar area, they also have an area wherein you may also borrow books or play sungka. Such a nice place with very friendly and awesome staff. The only thing is that they have limited list of menus to choose from to offer to their guests but it's not that bad. The food tastes good. All in all great experience we had a great stay at the resort. Very nice resort. Clean, well maintained,staff polite and helpful. Cheaper rooms comes without hot Water, Ac or WiFi (you need to walk out of your room to the bar area to get WiFi). Transfers : on-time, room is very confortable, food is really excellent, wifi not adapted for this kind of quality resort, tours must be organised better, 2/3 powercut per day, staff are helpfull. It’s a great stay, the hotel is cleaned, well decorated, i really enjoyed, just some little things need to be improved to get a better rate. 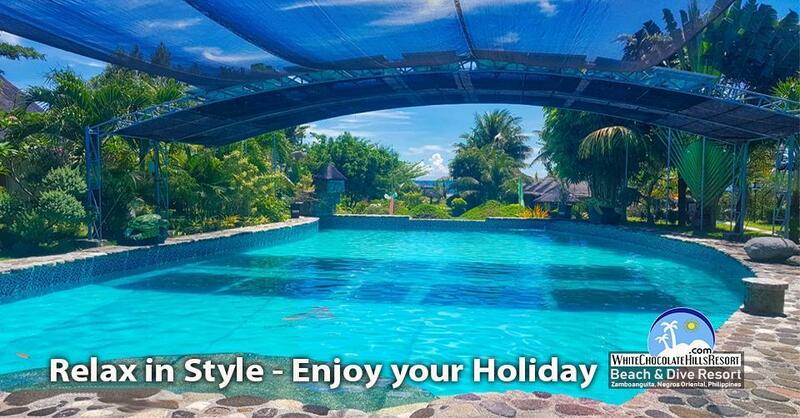 The resort is very clean and well maintained and the rooms are good value for money. The staff are friendly, efficient and helpful. The food is good and not overpriced. It is a little expensive to travel to the resort from the airport.